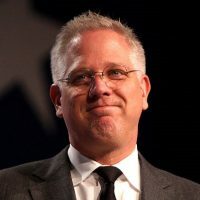 In a video posted to YouTube on the day of Billy Graham’s death, talk show host Glenn Beck emotionally recollected to Ruth Graham, the daughter of Billy Graham, a time that he said Graham defended him—knowing that he was a Mormon—as being a Christian. The video was of a 2014 interview in which the two talked about the life and character of Graham, and the memories they had of the crusade preacher. “And he (Graham) looked back to the other individual and said, ‘He sure sounds Christian to me,’” Beck said. Ruth Graham nodded her head and smiled. Beck then fell silent as he became visibly moved in recounting the story.